This is a project that I used with my 1st graders after reading The Jazz Fly by Matthew Gollub. 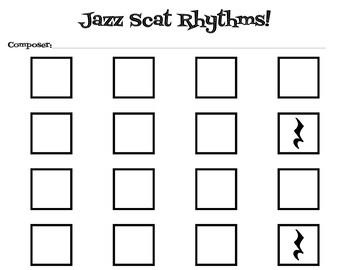 Students will cut out the squares of rhythms and syllables on the second page, paste them onto the first page, and then perform their rhythm! I'm also including a backtrack that I recorded in case you want your students to perform with some smooth jazz!